In this post, we’ll present our ultimate guide to spend management, and will show you how your business can get on top of your spending quickly and painlessly. Trust us: with the right approach, spend management doesn’t have to be like pulling teeth. Ready? Let’s start with some basics. Put simply, spend management refers to the processes used by a business to control its spending. This can include anything from office supplies to monthly software subscriptions. Basically, anything your people need to get out and do their thing. For our purposes, this means procurement and purchasing, tools and subscriptions, travel expenses, and incidentals. We're not talking about payroll or standard operating costs, but pretty much everything else. Every business has its own particular approach to spend management. This is usually set out in an official expense policy stating how employees are expected to pay for stuff. Even for outfits with no official policy in place, you’ll still have a preferred way to handle expenses, likely based on the preferences of senior management, the CFO, or the CEO. You may be more used to this term, rather than "spend management." In most cases, the differences is just a matter of semantics. Both refer to tracking and controlling the amount your employees spend on behalf of the company. But if you want to be precise, here's a simple way to differentiate the two terms. Expense management: Processing and paying employee expense claims. When your team pays out of pocket, a good expense management process ensures they will be reimbursed on time and in full. Spend management: This is the bigger picture. It includes payments made with company cards, online subscriptions, as well as employee expense reports. While having a clear and simple expense management process is important, it's even more effective when this is part of a broader spend management structure. We'll talk below about what this should look like. With us so far? In that case, let’s take a look at what it means to have a great expense policy. Companies spend in a whole range of different areas. And your costs are likely different from the business next door. Tools and subscriptions: As companies modernise, they rely on cloud-based software more and more. For many growing businesses, this is the largest expense (after payroll). Travel spending: Whether it's visiting clients or attending an industry conference, your team members are bound to hit the road at some point. Business travel is growing, and it's important to manage these costs smoothly. Office costs: These administrative expenses include small things like printer paper and Post-Its, as well furniture and company merch. Food: This can be bundled into travel spending (for employees on the road), and sometimes into office costs, but it's usually cleaner to keep things separate where possible. Advertising: For plenty of new businesses, traditional advertising has been replaced by paid search and social ads. This is still a significant expense, and can be hard to track across all your campaigns. Design: If you don't have enough design expertise in-house, you'll likely turn to an agency or freelancer(s). Managing outsourced project costs is usually a headache in-waiting. Consultants: Outside help is a great way to find new ideas and shake things up, or simply fill a gap while waiting for full-time help. But of course, consultants don't come cheap, and there are usually a high volume of invoices to process and pay. There are, of course, countless other spend categories that could apply. How you categorise them isn't strictly important. But having clear and consistent labelling is. Which brings us to a few of the most common challenges that most businesses face. Managing company costs doesn't have to be difficult. There are relatively smooth and simple ways to track spending and keep it under control. But not every company is there yet. Here's where plenty of companies go wrong. Do employees actually know what they can and can't spend on? If not, do they know how to find out? An expense policy can feel like an outdated document, but it's still important to set boundaries and give guidance. In the next section, we're going to look more closely at what should be included. Chances are that your CMO manages the marketing budget, the VP Sales handles sales, the CTO is in charge of tech costs, and...you get the picture. All of these expenses still need to be managed by your finance team. But everyone's on their own schedule, and it's virtually impossible to track spending in real time. This essentially creates data silos, where important information isn't easy to find (and doesn't live in one place). This is a massive issue in any business. In short, certain teams and team members may not actually want the company to know how much is spent, and how. It doesn't even have to be malicious - some people just hate "micro-management." Unfortunately for them, company money simply needs to be accounted for. It's the finance team's job to track spending, and a lack of transparency - at least for reporting purposes - can't be tolerated. The more manual your processes, the higher the likelihood for mistakes. Employees can enter data incorrectly, finance teams can copy that data incorrectly, and either way you end up with inaccuracies. The more you can streamline steps and automate these processes, the better your chances of avoiding such issues. In general, an expense policy is a set of rules defining what your employees can do with company money, and how they should go about seeking reimbursement for expenses. Typically, expense policies are set out in a document, and all workers are asked to comply with the document when they sign their employment contract. So, those are the basics. But how should you develop an expense policy, exactly? A good expense policy can take a little time to develop. It requires people to put down a lot of unspoken rules into black and white, and this can take a while to get right. Clarity is key: Your employees want to know how to pay for work expenses - this isn’t the time for ambiguity. Be crystal clear about the expenses employees can claim, how they can go about claiming them, and the documents they need to keep. Simple is best: A good expense policy shouldn’t be complicated. Deal with the most common expense classes first, and use simple, straightforward language. Also, keep things concise - if your policy is longer than ten pages, something’s wrong. Focus on fairness: Remember to treat employees equally and avoid making exceptions. Also, try not to leave employees waiting too long before receiving reimbursements for expenses - this is an excellent way to annoy people. Think about tax compliance: Before you start drafting, you should know the ins and outs of your local tax obligations, as this will affect the kinds of documents your people need to retain (e.g. invoices and receipts). Treat your policy as a living document: An expense policy should be revisited periodically to make sure it stays current. After all, your business is constantly changing, and your policies may need to change too. 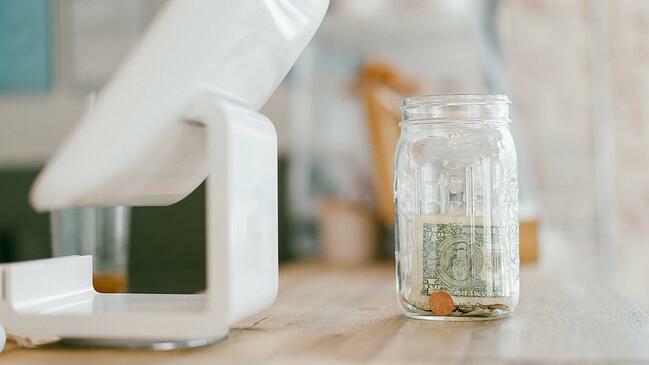 This may seem like a lot of things to keep in mind, but trust us: getting things right from square one will help you to draft a helpful, sensible expense policy. If you’re reading this, chances are you already have a spend management process of some kind in place. Whether this process is captured in an expense policy is, of course, another story. If you’re reading this without an official process in place, in some ways your job is easier. Starting with a blank slate can sometimes be easier than dealing with a dysfunctional or outdated set of systems. Set a clear date for the switch-over: Your people need to know what the cut-off date is for managing their expenses under the old system. Be generous when setting this - people need time to adjust. Don’t try to solve all of your problems at once: Chances are your existing processes will need a lot of improvements. If you try to crack all of this at once, you’ll struggle. Break things up into manageable tasks. Be respectful: Even if your current process isn’t the greatest, people still rely on it. You need to give people time to get used to the new system, and be patient with anyone who might be struggling to adjust. One thing that can really help with the transition? Dedicated spend management software. Despite your best intentions, it's always going to be hard to train your team to follow the policy. In reality, you're far better to make you policy a part of doing business. In other words, create an expense management process with built-in approvals, so team members will follow it just as a natural cause of action. 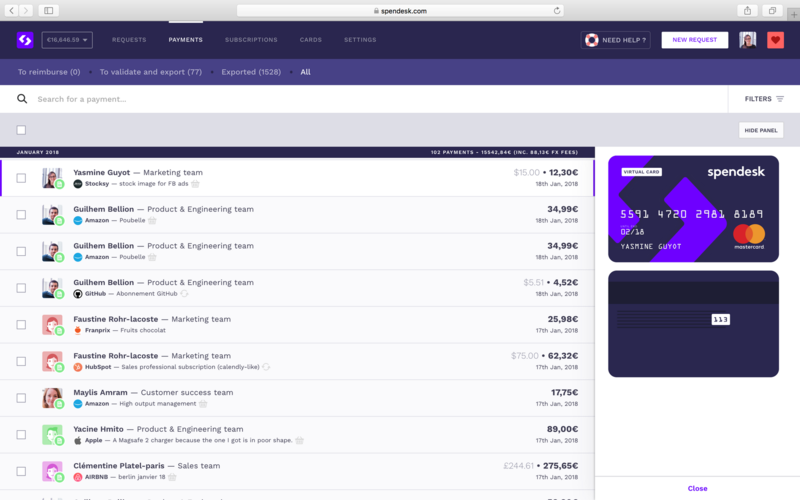 There are now a bunch of handy options for spend management software out there, with plenty of convenient ways to save you and your team time and effort. From simple receipt scanning tools to expense management software integrated with accounting tools, there’s a bewildering amount of choice. Automation: You need your expense management software to automate time-consuming tasks. For example, look for software which can automatically scan employee receipts and match them to expense claims. Flexibility: A good expense management tool gives you the flexibility to manage your spending the way you want to. For example, some tools offer customisable cards set to different monthly thresholds for defined spending categories. Security: You need to be sure your software guarantees the security of company funds. Look for a software tool with features like instant spend verification and single-use virtual credit cards - these will help you rest easy. Convenience: Spend management software can make managing expenses exponentially more convenient. By integrating a lot of steps in a single interface, a good software tool reduces the amount of time you’ll spend dealing with expenses. Integration: A good spend management tool integrates seamlessly with accounting software, making it easy to stay on top of your finances and save time. Trust us - your finance team will love you for it. Take a look at what’s out there, and find the spend management software that’s right for you. For the last stop on our ultimate guide to spend management, let’s take a look at a cautionary tale (or four). We've already looked at our favourite spend management tools and expense management software. Take a look at those posts if you want to go deeper. In the meantime, here are a few great suggestions, depending on what you're looking for. If you ask us, spending should be dealt with as a whole. Rather than relying on lots of smaller tools, it's more efficient (and more secure) to keep all company spending in one place, in real time. These should also come with ways to pay (payment methods). This means prepaid expense cards to replace your corporate credit cards, and virtual cards to pay online. And the best ones let you pay invoices and reimburse employees from within the platform. If you're really only focused on expenses (and not interested in better ways to pay), and expense reporting tool can be a great help. These let your travelling team members submit expenses through an app, complete with a picture of each receipt. That's great, as it means they're not handling all their claims at the end of the month - a giant waste of time. It also ensures that they don't forget their receipts. And best of all, finance teams can track these expenses as they occur. So the company has an up-to-date idea of how much they're spending. If you've ever had to rely on the company card, you know how flawed that concept is. They go missing, there are always mysterious charges, and it's impossible to know who's spent what. And many employees don't even have access to one. Instead, new providers are offering prepaid expense cards. These still work like credit cards, except they're not attached to a bank account - they're prepaid. So companies can trust employees with one without worrying about excess spending. Every card has its own limit, and every single payment is tracked to the right user. Our pick: Spendesk, but there are other good providers out there. When it comes to spend management, there are a few classic headaches you’ll want to avoid - we’re here to break them down for you. If any of these sound familiar, don’t worry - admitting you have a problem is the first step. The trusty petty cash box, a long-time office favourite, is one of the last true dinosaurs of spend management. Need change to pay for parking? What about a few notes to cover morning tea? Just dip into the box! While many still rely on this system, it’s a terrible way to pay for expenses. There’s minimal oversight, meaning it’s easy to grab a note here and there, then another, and another. Over time, this can be a real sinkhole of company funds. This one raises a whole bunch of red flags. If your employees need to make online purchases on a regular basis, it might seem like the easiest thing in the world to just copy the credit card details onto a post-it note, or even share them over email. Unfortunately, credit card fraud costs billions of pounds each year. With the availability of other, more secure options for managing company expenses, there’s no reason why your company should continue to put up with this risk. A lot of businesses ask their employees to cover their own expenses, then hold on to receipts and other documents and file expense claims each month. Often, it takes weeks to process the claim and provide a reimbursement. As you might already know, expense claims are one of the most hated parts of modern office life. Not only are you essentially asking your employees for an interest-free loan, but you’re making them wait for ages to be paid back. This process is also incredibly process-heavy, taking the time of a lot of people who could be put to much better use. Switch to a spend management tool, and say goodbye to expense claims. A French study carried out by firm KDS found that expense fraud affects around 15% of companies, costing them more than £600 per employee each year. Given that paper expense claims are easy to falsify, it pays to look into alternatives. Switching to a more convenient system won’t just save time for you and your team - it’ll reduce the temptation for people to submit fraudulent expense claims. Win-win! No matter the size of your company, getting on top of your spend management is an excellent way to save time, money, and effort. Unfortunately, a lot of businesses don’t put much thought into how their employees will manage expenses. As a result, there are a lot of inefficient and time-consuming processes out there. In this guide, we’ve tried to make expense management as painless as possible. With our tips and suggestions, you’ll be well-placed to develop a great expense policy, switch to dedicated spend management software, and avoid the more common spending headaches.